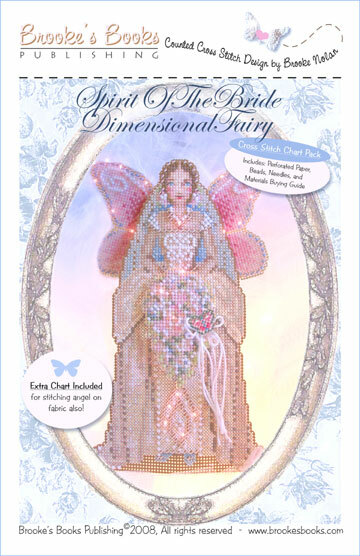 Each Includes: 14 count perforated paper, Mill Hill glass seed beads, tapestry & beading needles, and chart with finishing instructions. 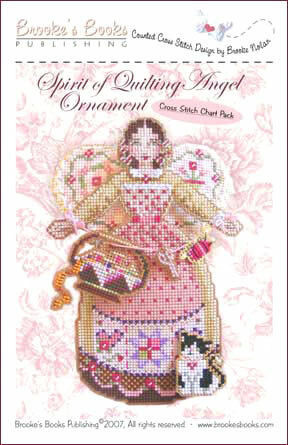 Each angel is stitched using DMC floss and Mill Hill beads on perforated paper in four pieces; angel, wings, garland, & butterfly. 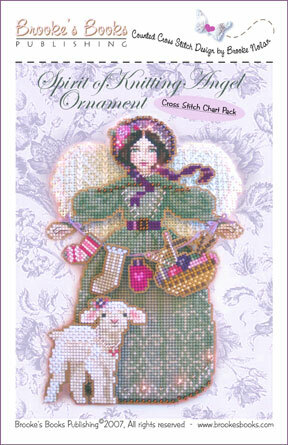 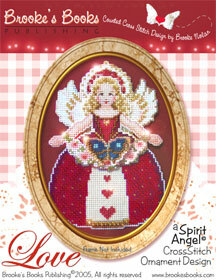 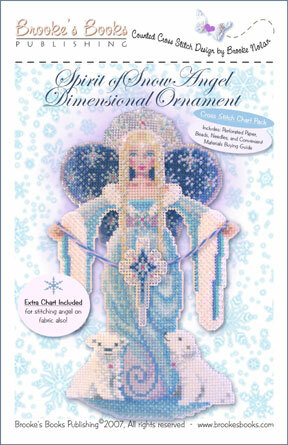 The stitched pieces are then tacked in layers to form a 3D angel. 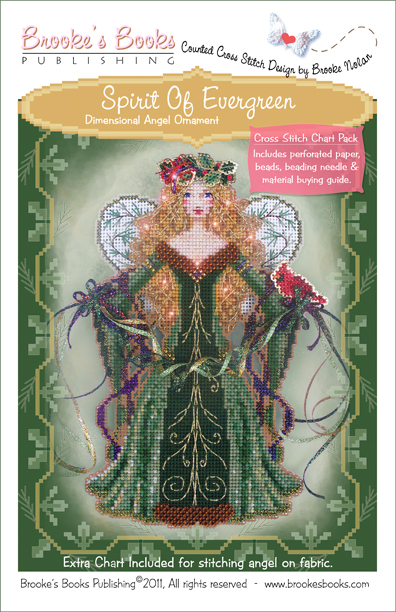 Includes: 14 count brown & Metallic Gold perforated paper, glass seed beads, tapestry and beading needles, and charted design with complete finishing instructions. Includes: 14 count white & Metallic Silver perforated paper, glass seed beads, tapestry and beading needles, and charted design with complete finishing instructions. 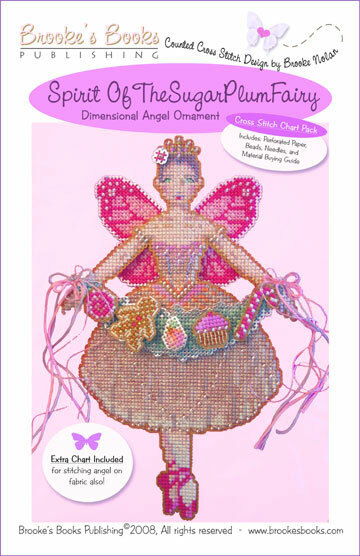 Includes: 14 count cream & Metallic Gold perforated paper, glass seed beads, tapestry and beading needles, and charted design with complete finishing instructions. 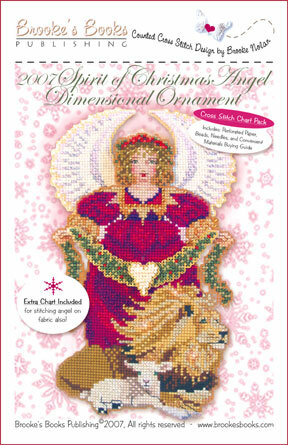 Includes: Metallic Gold and Brown perforated paper, Mill Hill seed beads, tapestry & beading needles and chart with instructions. 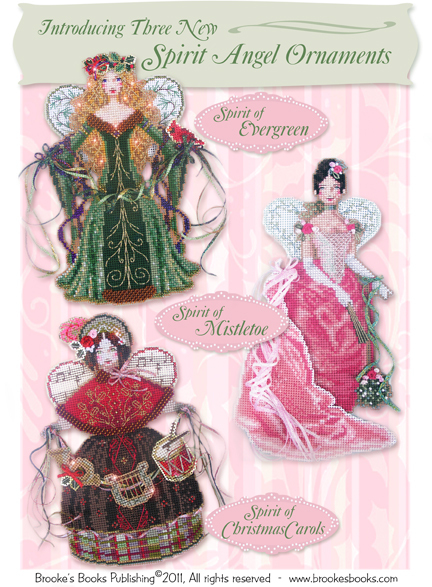 Finished dimensions: Approximately 5" x 7" each. 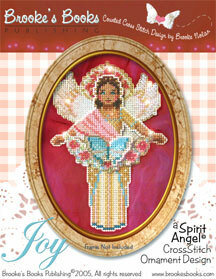 Includes: Brown perforated paper, Mill Hill seed beads, tapestry & beading needles and chart with instructions. 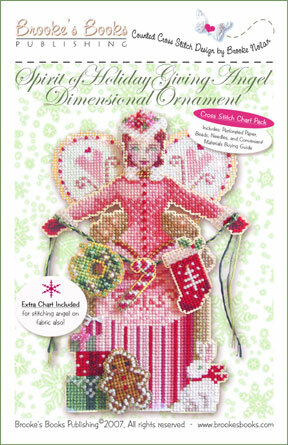 Includes: Brown & Metallic Silver perforated paper, Mill Hill seed beads, tapestry & beading needles and chart with instructions. 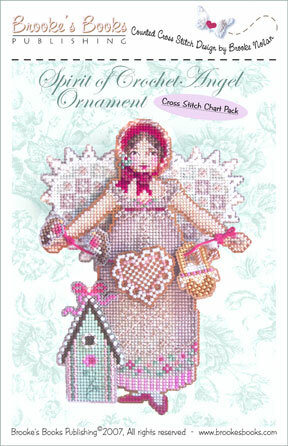 Includes: Antique Brown perforated paper, Mill Hill seed beads, tapestry & beading needles and chart with instructions. 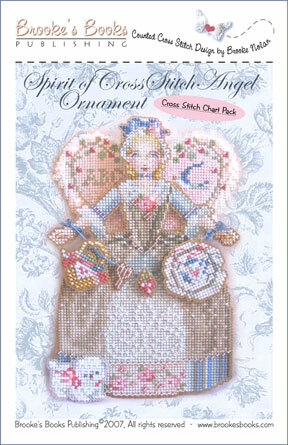 Finished dimensions: Approximately 4.25”x 6.75” each. 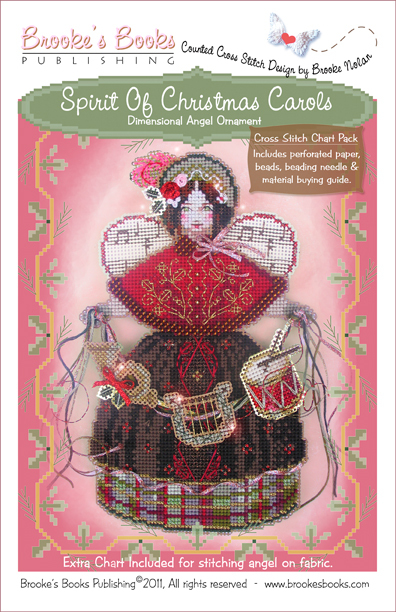 All three chart packs include: Witchelt Imports' perforated paper, Mill Hill seed beads, beading needles and charts with instructions for all three ornaments plus extra charts for stitching on fabric. 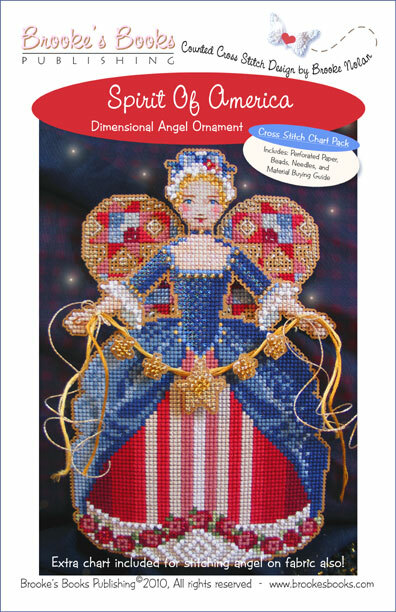 DMC conversions given for Kreinik braids. 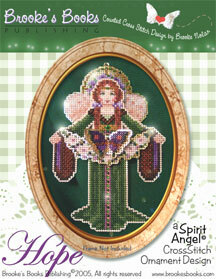 Click here to download the Material List for Evergreen. Click here to download the Material List for Mistletoe. 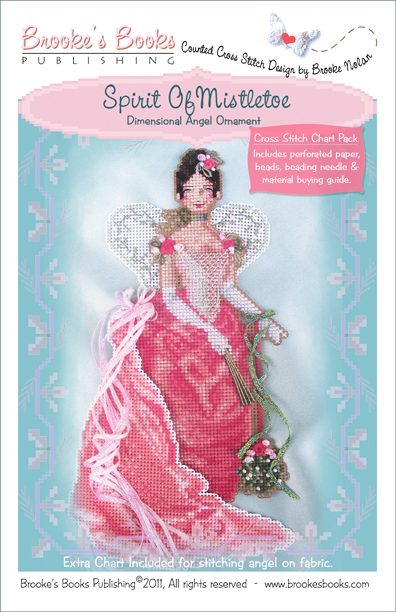 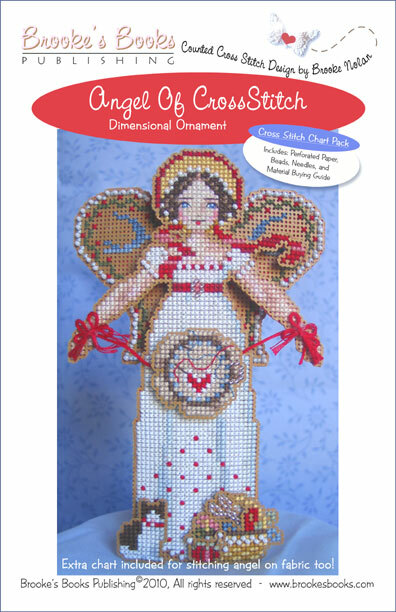 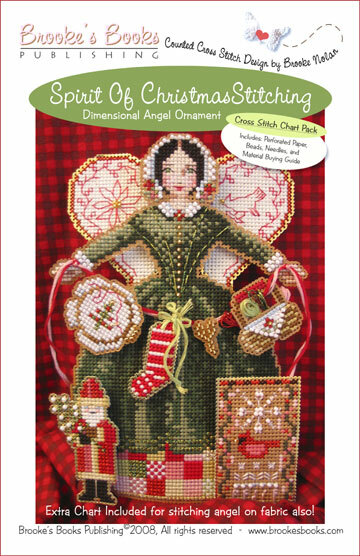 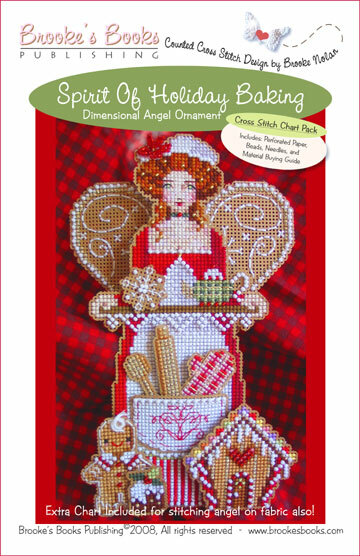 Chart Pack Includes: Witchelt Imports' perforated paper, Mill Hill seed beads, beading needle and charts with instructions to make the ornament plus an extra chart for stitching on fabric. 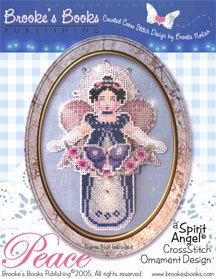 Finished dimensions approximately 5" x 7"
Finished dimensions approximately 5" x 9"